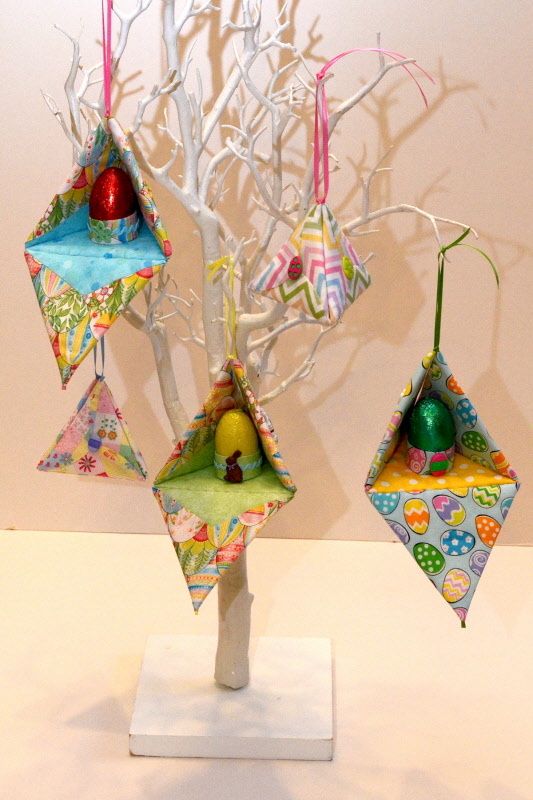 What lovely little Easter gift boxes and what a nice way to give and egg or gift for a friend at this specials time. There are two sizes of boxes in the pattern, designed by gail Penberthy and it includes a little egg holder inside it too. The large box measures 4 1/2 x 4 1/2 inches and the small ones 3 1/2 x 3 1/2 inches A beautiful set of buttons completes your package along with pelmet Vilene stiffner.